The aqua adventure water park looked really tempting but since we had planned to go the Yas water world the next day we gave this a skip. The dolphin bay experience where you swim with dolphins was very pricey and hence we visited only the lost chambers aquarium. 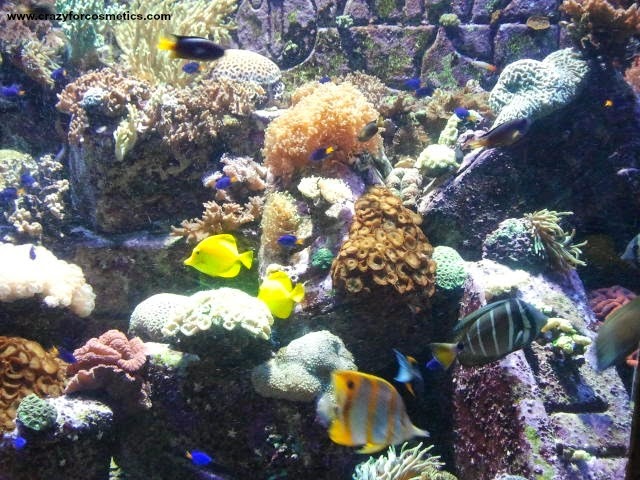 Here are some snaps from the best aquarium I have been to. We had lunch in one of the food courts , took some snaps and headed back to our hotel. 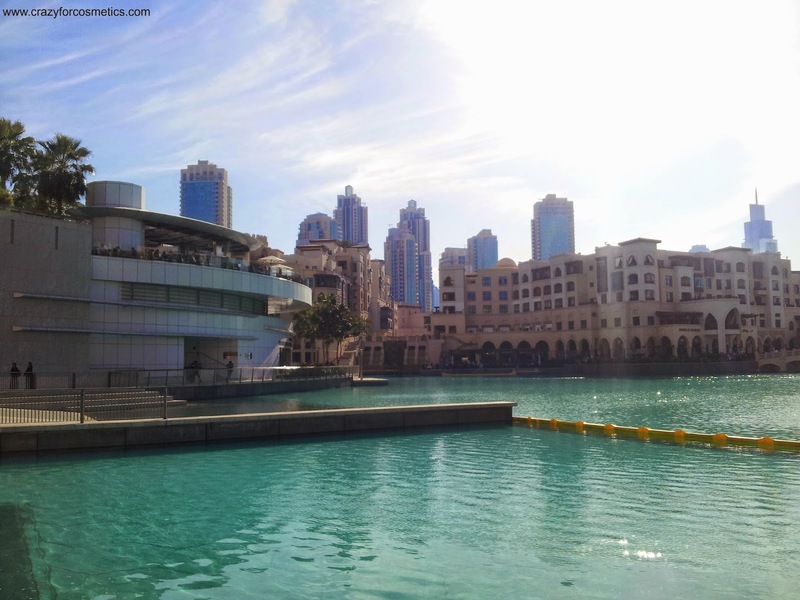 You would probably need a few days to see the Dubai mall .. Recently read an article that a man was lost in the Dubai mall for 1 year .. Dont know how true the story is , but the underlying fact is Dubai Mall is really a symbol for opulence , grandeur and size.. 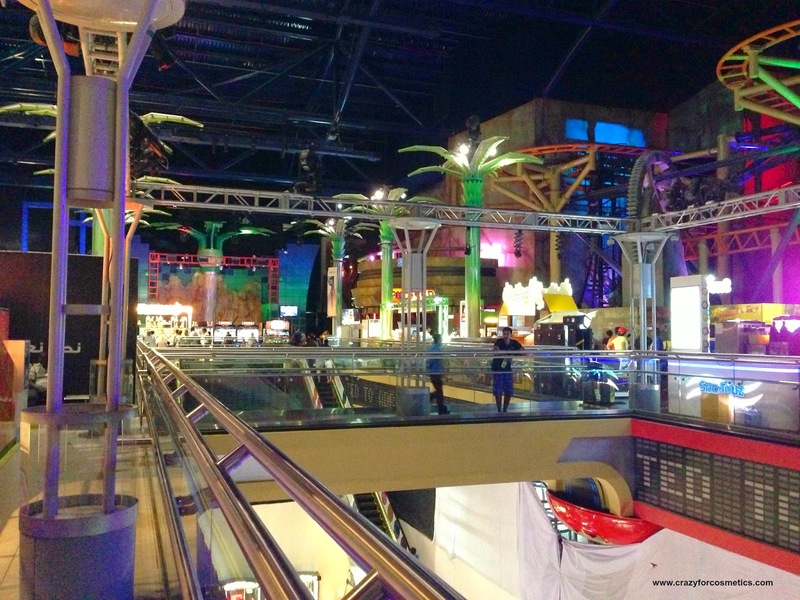 The Dubai mall is indeed huge!!! 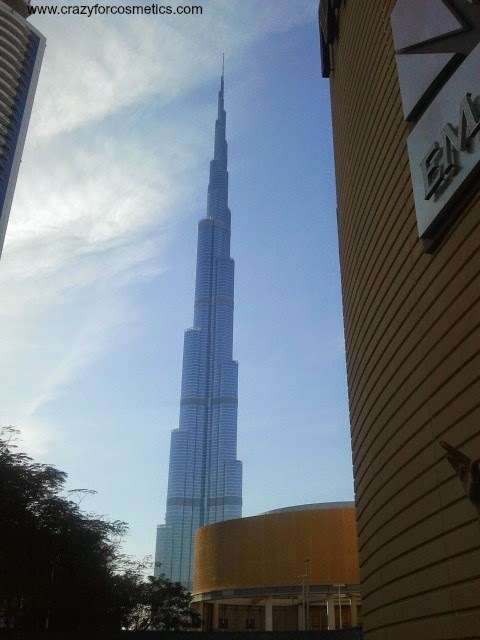 So with just one afternoon and evening to spare in the Dubai mall we tried to see as much as we could.. 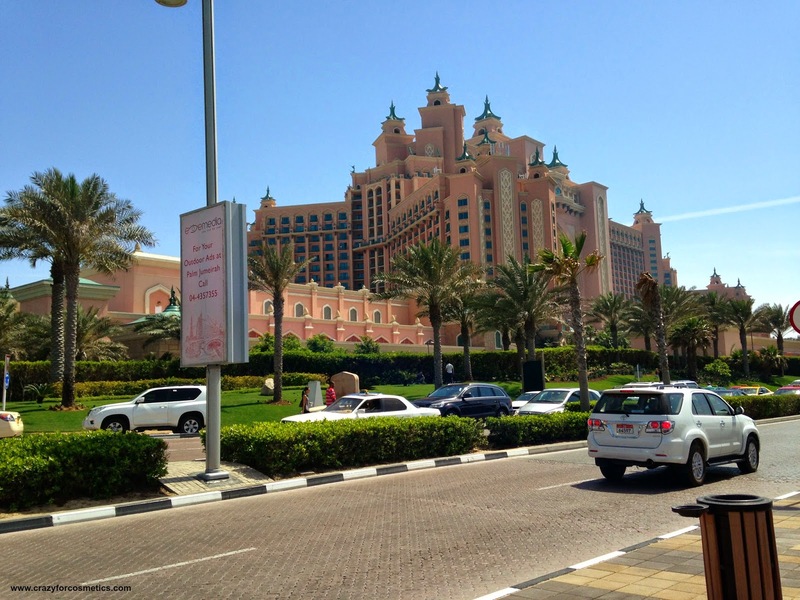 Tip : There are free shuttles from most hotels to the Dubai mall.. so do check with your hotel for the same. As mentioned earlier the Dubai mall is a huge maze and it can get real confusing and you spend a lot of time doing nothing.. 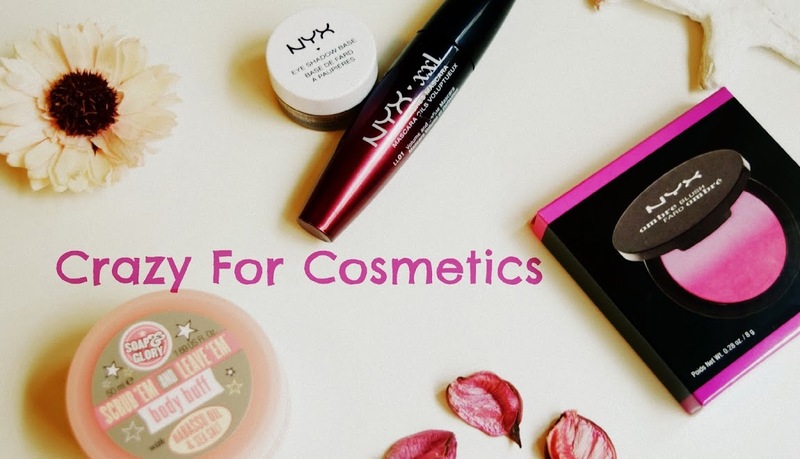 Tip : Visit the website earlier and chose the shops that you want to visit. Once you arrive in the mall , with the help of the map, visit them first. Then you can spend the rest of your time window shopping. This is something that I did not do , but luckily I had my cousins to guide me and I managed to get around. We went to Sephora, Forever 21 and some random apparel shops. I bought some good earrings, statement necklaces from Forever 21 and my Mother in law got some foundations, face powders from Makeup Forever brand in Sephora for herself and for gifting. 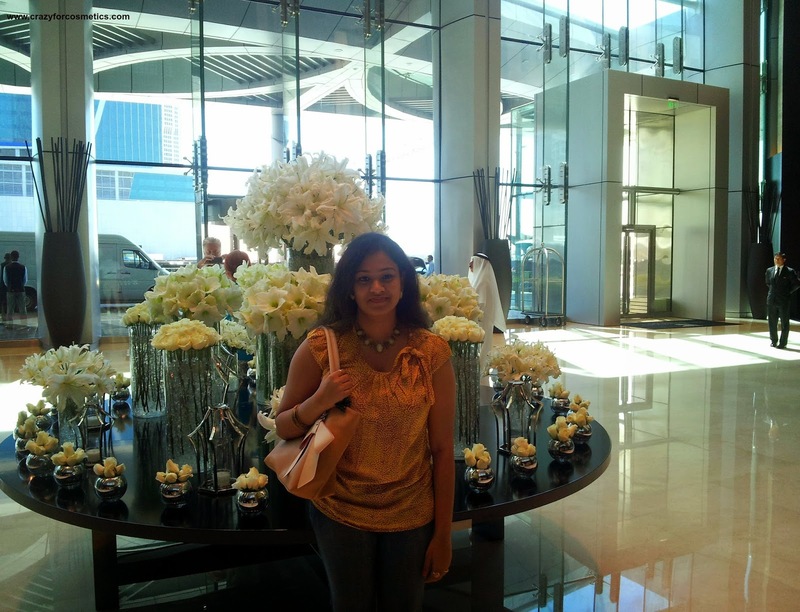 You can check out my statement necklaces from Dubai in my post here. Remember those old Sega games that we used to play in the gaming arcades ? Just imagine a place probably 10 times its size with the largest collection of arcade games and to add to it some amazing indoor roller coasters, an interactive football game , a maze where you evade lasers and snooker tables you get Sega Republic.. 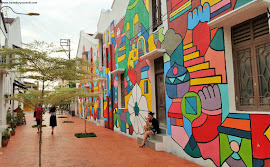 This was something that we chanced upon when we were walking around and we really enjoyed our time here. A good place to become kids again. 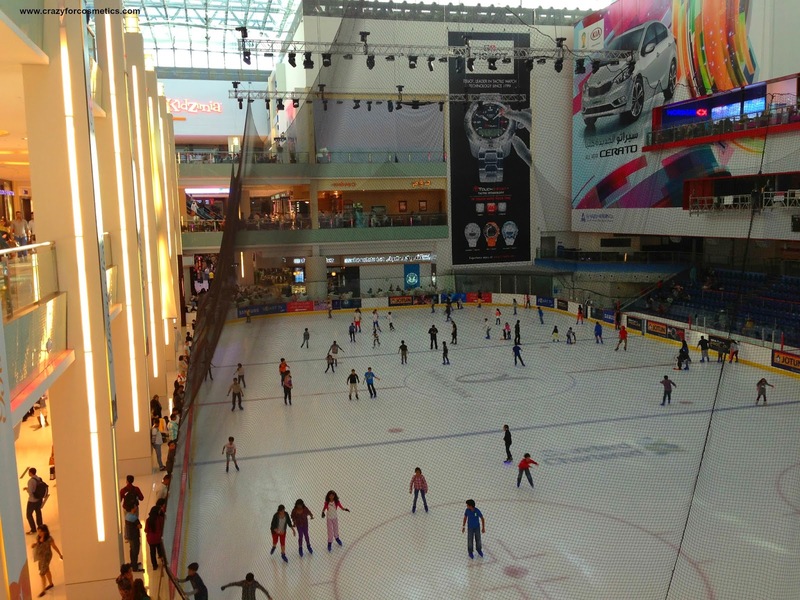 We did not try the Dubai mall Ice Rink as we were running out of time.. ( I personally did not want to fall and make a fool of myself ;) ) .. But it seemed real fun as people young and old , both amateurs and professionals seemed to be having a great time..
Dubai Fountain: At 8 in the evening we watched the Dubai Fountains show which is one of the highly rated attractions in Dubai. The fountain show lasts for about 10 minutes with beautiful Arabic Music accompanying the dancing fountains in a beautiful setup. 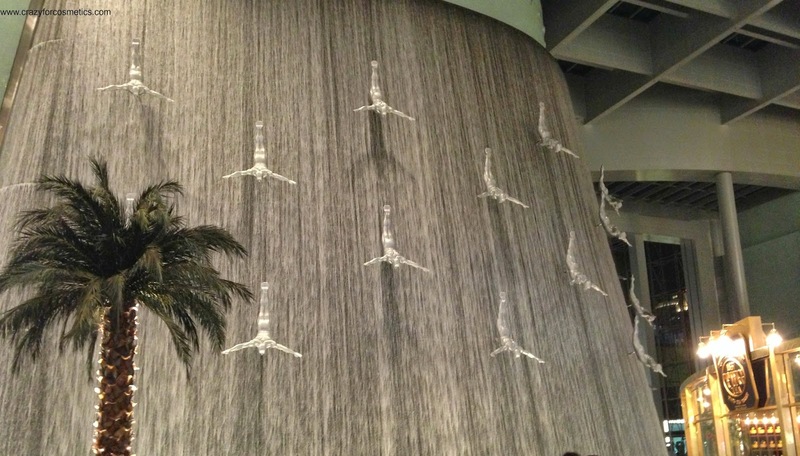 We liked the show and if you visit the Dubai mall this is something you should not miss.. Best place to watch would be from one of the many restaurants in the promenade..
We had dinner at a beautiful beach side restaurant and headed back to hotel since the next day was action packed. 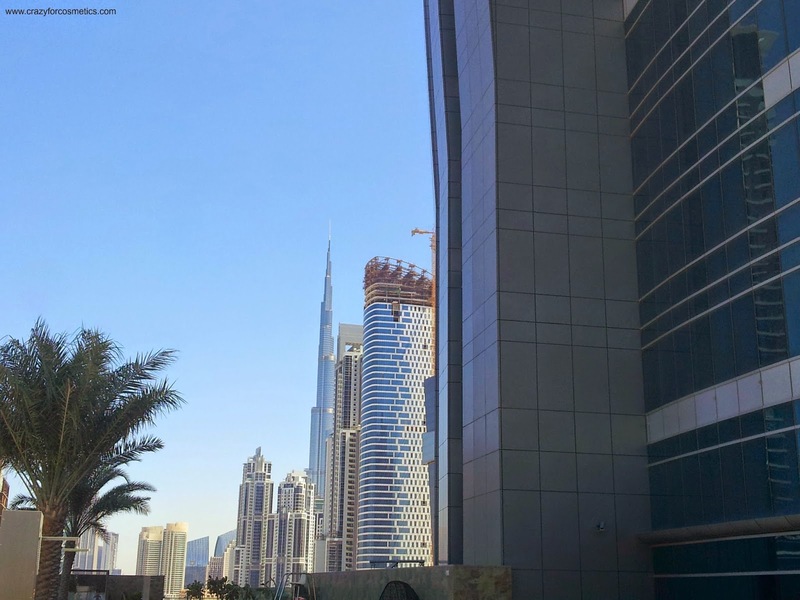 When you think of Dubai the first thing that comes to you mind is shopping..Apart from its fabulous shopping another thing that is synonymous with with Dubai is its heat !!!! And what better way to cool of that visit a water park in the Emirates.. You are actually spoilt for choice as you have 3 amazing water parks to chose from - Wild wadi , Aqua adventure water park, Atlantis ( both in Dubai ) and Yas water word in Abu dhabi. We finally narrowed down to Yas water world as it had the most number of rides and some of them really looked hair raising.. These are the rides with most queueus so it is better to do them early in the morning..
· Liwa Loop : The ride that we were looking forward the most to and a ride that did not disappoint. The ride probably lasted 3 seconds but that 3 seconds were like enternity. From the moment you step onto the capsule before the free fall till the moment you are down after a 360 degree loop you can literally hear your heart beat.. Not for the faint hearted!!! · Dawamma and Falcons Falaj : These were family rides where 6 people could sit in the tube and it had weight restrictions. But apart from being able to accept 6 people in the tube, it cannot be called as a family ride since there is extreme adrenaline rush from the second you are on the ride. Free falls and funnel kind of pathways and cold water being splashed from the sides. I was screaming and closing my eyes so tightly that I didn't know what really happened. I only thanked God for being alive after the ride.. Thrill seekers you will enjoy this!!! · Jebel Drop : This according to my hubby was the scariest ride in the park.. There was almost 80 degree open vertical drop which was really scary.. So do take care..
· Sebag: This is a real fun ride as you can compete with friends/ family to see who finishes first.. There is also a big board that shows your timings .. Really cool!!! There a lot of other rides like the bandit bomber, serpent spin , lazy river and others which will keep you occupied for the whole day.. But our tip is do the above 5 first before the others..
2. Girls can wear their swimsuits if they are comfortable or tights with t shirts. Men can go for shorts that are not very loose. Islam being the main culture in the country there is no hard and fast rule that you need to wear only a swim suit ..
3. Make sure your dress does not have any zip/ anything that can cause damage to the rides. So after 3 grueling days we began day 4 a little late.. After a relaxing swim in the swimming pool we decided to explore the hotel and take some pics..
Post a sumptuous breakfast we checked out and leaving our bags in the hotel we proceeded to the Mall of Emirates .. Being in the southern part of India and my parents being workaholics, I have not got much opportunity to travel to other parts of India or abroad before my wedding. Just been to Singapore once before my wedding and travelled to places in South of India. 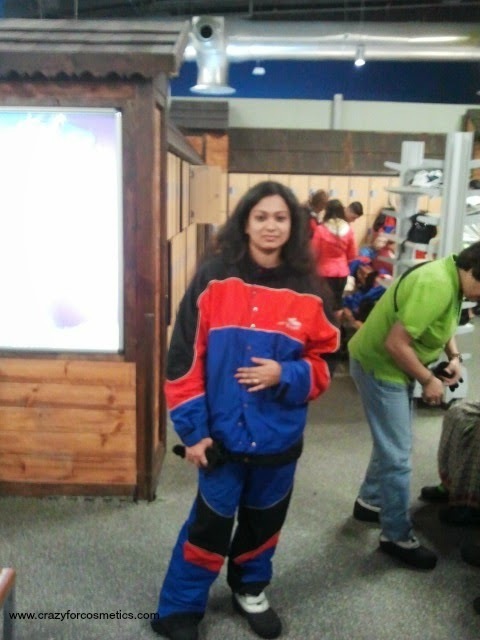 I have never been to a place where it snows..So Ski Dubai was my first experience with snow- a world of snow filled landscape with fun activities inside a mall! Kudos !!! Skiing, Ice flyer(chairlift),tube rides and other thrilling activities all organized perfectly. Such a good getaway it was. 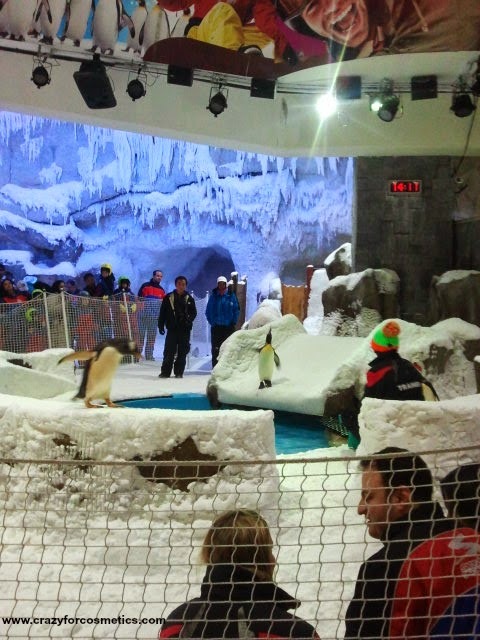 When my husband was busy with his ski lessons, I was having my fun quotient too in the Ice Flyer, tube rides and watched cute penguins in a performance. Perfect clothes, shoes, gloves were provided according to various sizes and we were allowed inside. After all the fun and frolic we were damn hungry and took the ice flyer to a restaurant situated inside the snow resort. We had hot hot drinks and some nachos with cheese. They tasted heavenly!! Spent 1 hour here taking some snaps as my MIL got some jewellery.. Really interesting place if you are into purchasing gold..
From the gold Souk we headed back to the hotel to go back to the airport. 3 days was indeed too less a time to spend here and we hope to return someday..
My husband contributed a lot towards writing this post.